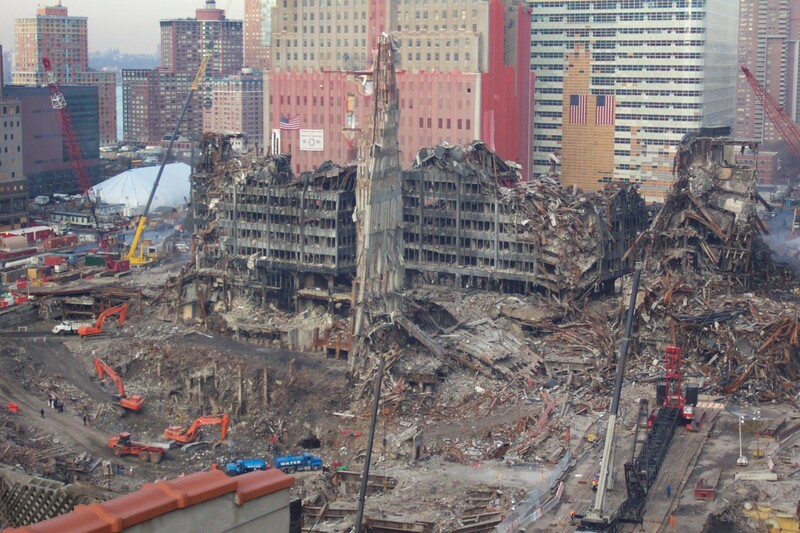 On September 11, 2001, I was awake much earlier than I wanted to be . . . struggling with insomnia and watching mindless tv to try to get back to sleep. I don’t remember what I was watching, but I do remember the program was interrupted to report on the first plane striking the tower. It seemed like an awful accident, and I watched in horror, wondering how this could have happened. When the second plane crashed, I woke up Mark, and we watched together in a state of shock. We didn’t know anyone living in New York City, but still we were shaken to the core. We both stayed home from work that day, watching the news in a daze. Later that night, some friends invited us over to process things and to pray. We were a somber group, all of us overwhelmed from watching the tragedy play out on television again and again. We prayed for a bit, and then something unexplainable happened. There was a John Denver songbook on their piano – my husband’s favorite. Mark coaxed me into playing a few songs and before we knew it, several grown and sober adults were geeking out with a John Denver sing-a-long. I think it was our way of decompressing and trying to find some beauty in the midst of such an ugly day. 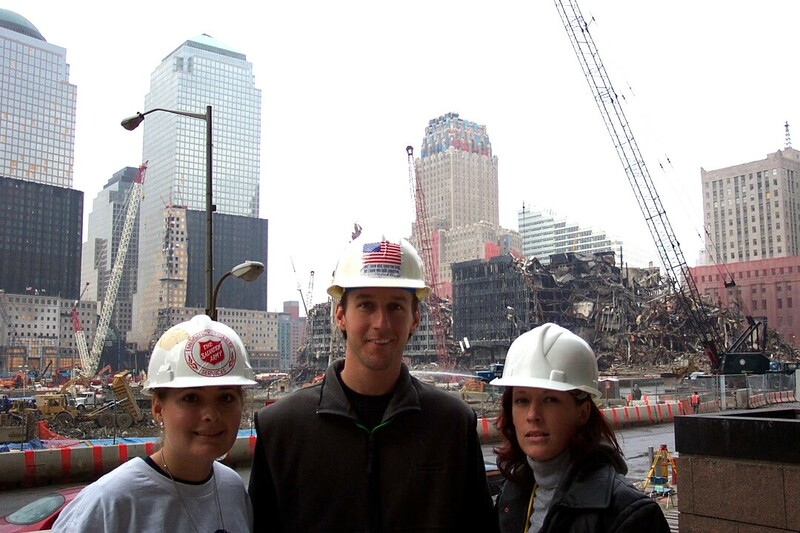 Within a week of the attack, Mark flew out as one of the first official chaplains, while there was still ash in the air and hope of survivors. It’s interesting how people return to faith in a crisis and find comfort in speaking to a pastor even if that’s not a part of their usual routine. Mark and a few other pastors walked the grounds in yellow flight jackets with the words “CHAPLAIN” in bold writing across their back, just making themselves available to the search and rescue crew. A couple weeks later, I went back to NYC myself, as a part of the Salvation Army relief effort. We spent some of our days down at what was referred to as “the pile”, an eight-story heap of debris, making ourselves available for counseling and serving food to the men charged with the task of finding remains. I also spent some time at the morgue, helping to process the paperwork of families coming to identify the remains of loved ones, and at the pier, where displaced people were coming for housing assistance. I pretty much did whatever was needed, even driving a forklift one day. We worked hard, and slept very little, and by the end of the trip I had to be wheeled through the airport in a wheelchair because I had injured my heels from standing too long for days on end. It was a hard week, but I don’t think I’ve ever had such a sense of purpose in helping others. I can’t pretend to know what it was like to lose someone that day, or to know the trauma of surviving such a frightening experience. But I do know the horrors that we saw during our time there . . . the sights, the smells and the stories I will never forget. At the end of our time there, we got to return home to our family and friends, and to a home and a city that was not in crisis. But we have always felt a deep connection to the people affected by 9/11. The thing that strikes me about seeing our photos of ground zero now, fifteen years later, is that the devastations reminds me so much of what Port-Au-Prince looked like in the days after the earthquake. The difference in this scenario, though, is that instead of flying in to offer assistance in a tragedy, I was the one in need of assistance. I was the recipient of a team of caring volunteers: first at the embassy in Port-Au-Prince, and then at the military base in Pennsylvania where we were flown after being evacuated. I distinctly remember getting off that military plane, with a baby strapped to my chest and a brood of Livesay kids with me, not having showered or slept in a number of days, and still feeling acute PTSD. We were met by volunteers who offered us food, cots, and even clothes. I was struggling with how Karis would be transported from the military base to the civilian airport an hour away with no carseat. I had no baby food, no shoes for her, and no diapers. When the planes showed up to fly us to safety, we had to leave our suitcases behind. A Red Cross volunteer asked me what I needed, and I told her my predicament. She made a few phone calls, and someone brought me everything. There were also piles of clothing dropped off for anyone in need, donations that were so valuable to me because we all showed up in Pennsylvania wearing clothing appropriate for Haiti, not a snowy Pennsylvania winter. I remember crying so many times that day over the small kindnesses of others – the meals, the volunteer doctors, the free phone cards so we could call home, the women who were walking around with clipboards just ready to see how they could assist us. I don’t like to try to put a pretty bow on tragedy. But I am encouraged by the human impulse to help after such events. I’ve been blessed by my experience on both sides of disaster. I am proud to live in a country where I continually watch people band together in the face of adversity. I continue to pray for the families who lost a loved one that day.